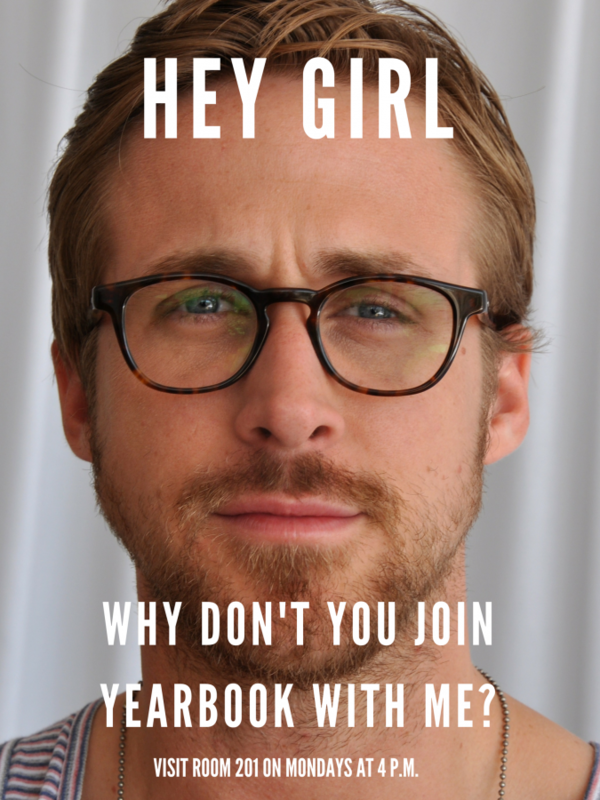 When recruiting for your yearbook committee, you’ll want to attract students who are passionate about what the yearbook stands for, students who have talents that can help you create a great yearbook, and students who might be able to help you solve some common yearbook problems. To reach all three at once, use recruiting posters. 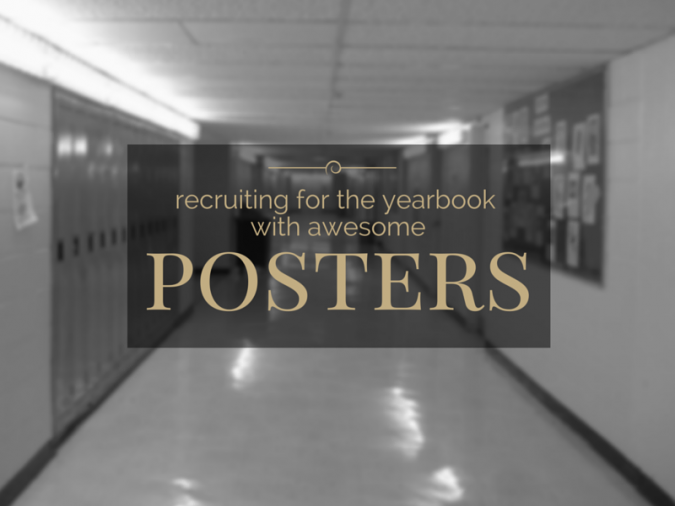 A recruiting poster is sorta like a marketing or sales poster, but it is different in one key way: You’re not asking people to buy the yearbook. You’re asking people to create the yearbook. They’re specific about what’s needed. If you are looking for photographers, make sure you put that in. If you are looking for people with a flair for visual design, mention that. There might be people who are unsure of how their talents will fit into a yearbook staff and are hesitant to join unless they see a specific calling they can identify with. They’re open and inclusive. This doesn’t contradict the above advice. Encourage students who are unsure about what they can do to apply. You never know what you might find. You could discover someone with an unbelievable knack for writing killer headlines, or for eliciting the best quotes during interviews. There is talent all over the school. The right recruiting can help you find it. They provide pertinent information. 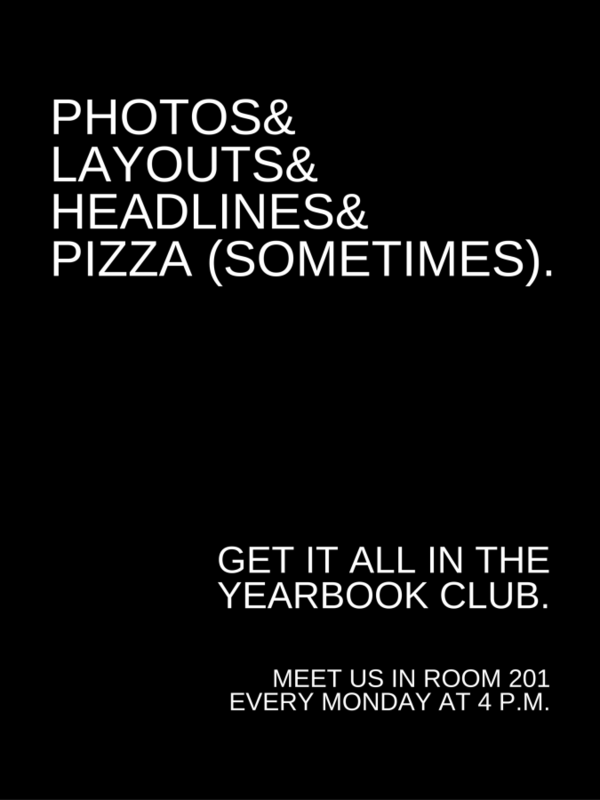 Your poster needs to say more than simply “Join Yearbook!” Interested students should be able to quickly and easily get a good picture of what’s involved, and also have no doubt about how to find more information. Advisor name, classroom, meeting times, signup sheet—provide whatever information they need to make joining stress-free and inviting. Even though a white piece of paper with yellow lettering saying “Yearbook Looking For Staff. Come To Room 237” might meet the above criteria, it probably isn’t going to draw anyone in. You need to catch some attention, too. You can do that by making sure your poster is catchy, shows your spirit, and makes people want to join. To show you what we mean, we came up with three posters that you can pass off as your own. Just click on the poster you like, save the folder to your Google Drive, and edit the bottom line so it’s accurate for your school. Or, take the suggestions for types of posters, and have fun creating your own. Go For A Historical Look. Retro is in, so why not draw your potential recruits’ attention with a good-ol’-fashioned recruiting poster? Using an established campaign and playing with it is a great way to show the sense of fun on the staff. Reference Yearbook Elements. Form serves function here. Incorporating elements of design, such as graphic layout or use of interesting fonts and clever wordplay not only attracts the eye, but shows what you are all about. It’ll capture the interest of people with passion and talent for these fields. Bonus points if your poster is humorous or punny—if a student stops and chuckles, the seed is planted, and you’re halfway there. Find what resonates with your audience, and they’ll be lining up outside your door to beg for a spot or to fill out a yearbook staff application. 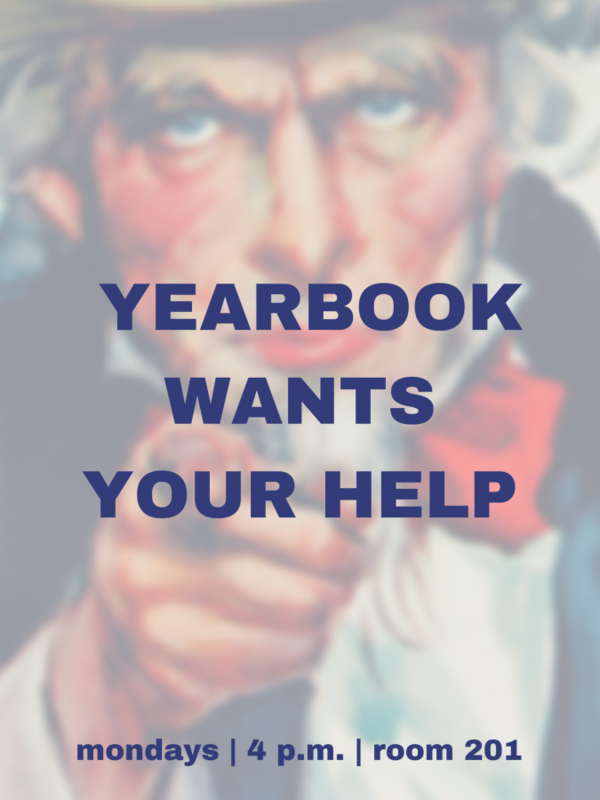 Your committee is what makes your yearbook a success, so make sure your posters are reaching all the students who can make your yearbook the best and letting them know all yearbook has to offer.